The view from Onsen is very beautiful.Sea,sunset,seagull,lights for fishing squid and more.Please enjoy the view from Onsen! Onsen is located in the sea side.Please enjoy and re-lax. Onsen rooms are close 23:00-6:00. We prepare body soap,shampoo,heir conditioner.These are made by Shiseido(資生堂）. And Shaver,Shaving cream,Cotton swabs,heri drier etc. There’s lots of health benefits of hot spring baths. It’s great for recovering from fatigue and improving overall health! The bath is not only a place to clean our body, but also to restore our energy for the next day. 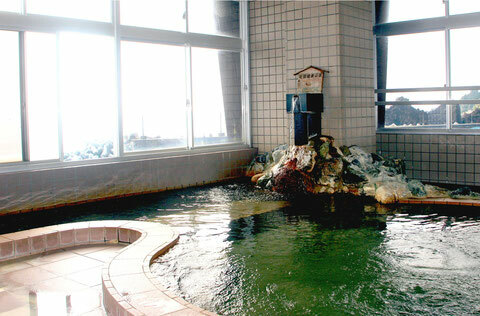 Please enjoy narcissus in Onsen from mid Dec. to end of Jan.